This week I have something very heavy and very groovy for you. 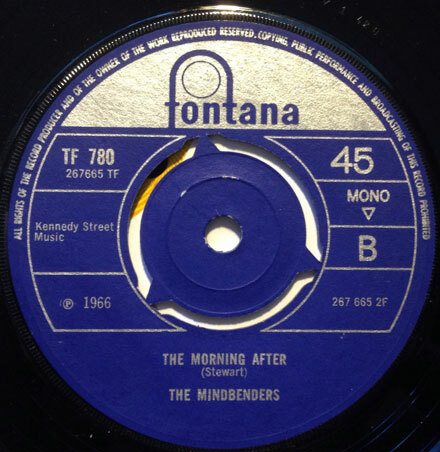 ‘The Morning After’ by the Mindbenders is one of those records that fell into my ears via the Rubble comps back in the 80s and pretty much found a secure home in my mind ever since. 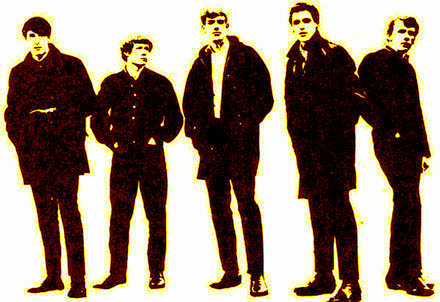 Though most people are familiar with the Wayne Fontana led Mindbenders, they had a decent amount of success following his departure from the band in 1965. 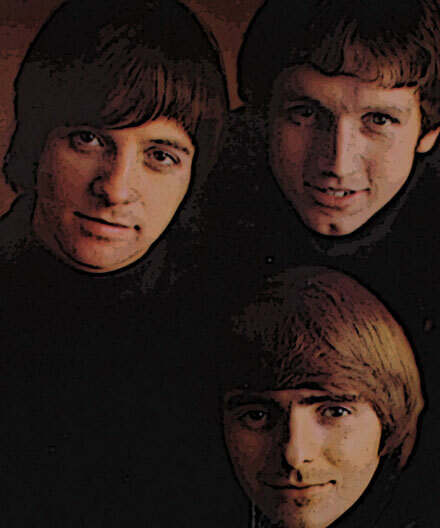 Guitarist Eric Stewart (later of 10CC) took over as lead vocalist, fronting the band on their big 1966 hit ‘Groovy Kind of Love’, as well as their fantastic, overlooked 45 of the two songs the band mimed to in ‘To Sir With Love’, ‘Off and Running’ b/w ‘It’s Getting Harder All the Time’, one of the finest bits of progressive beat sounds on the way to freakbeat. Speaking of freakbeat, there is hardly a better example of the genre than ‘The Morning After’. Released in December of 1966 on Fontana (I was surprised to discover that there is a US release of this single as well), ‘The Morning After’ b/w ‘I Want Here She Wants Me’ (written by Rod Argent but recorded prior to the Zombies version) is one of the most amazing 45s of the period. ‘The Morning After’ powered by a stomping rhythm guitar, and exploding into an anthemic (yet wordless) chorus, is the perfect bridge between the straight ahead rock of the beat era and the flights of fancy of the psychedelic years, thus the freakbeat. Strangely, despite the fact that the Mindbenders were in the midst of a run of UK hits, neither side of this 45 charted. I waited almost thirty years before I got my hands on this 45, and I was as excited to listen to it now as I was back in the day. It is a certified killer, and I hope you dig it as much as I do. This time out I have a nice, long show for you, with more than two hours of sonic wonderment. We get things off to a start with some groovy new arrivals, segue into two long sets looking at the various and sundry types of musical exploitation, and then some softer sounds to round out the show. If this is your first taste, make sure to drop into the archive in the header and check out the previous 38 (?!?) episodes. The tracks I bring to you this fine day are a stellar example of East Coast folk/pop. 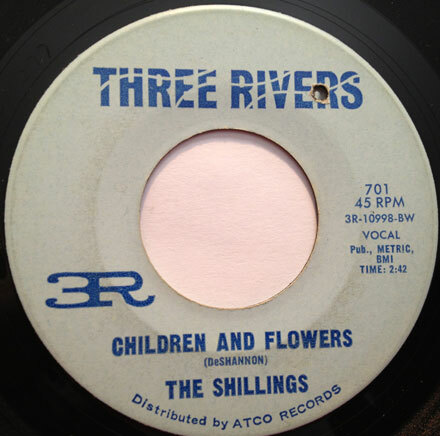 The Shillings (of which there were many, but these cats were from Eastern, PA) released several 45s on labels like Fontana, Virtue and Three Rivers in 1966 and 1967. They hailed from the Allentown area and played local ten clubs like the Mod Mill and King Arthur’s Court. The record you see before you was released in 1966. ‘Children and Flowers’, written by Jackie DeShannon, had already been a minor hit for New Jersey’s Critters in 1965. DeShannon recorded – but did not release – her own version, which later surfaced on the CD reissue of the ‘Laurel Canyon’ LP. The Shillings version takes the Sunset Strip folk rock sound and dials it down a notch, softening it up with a dose of AM pop. 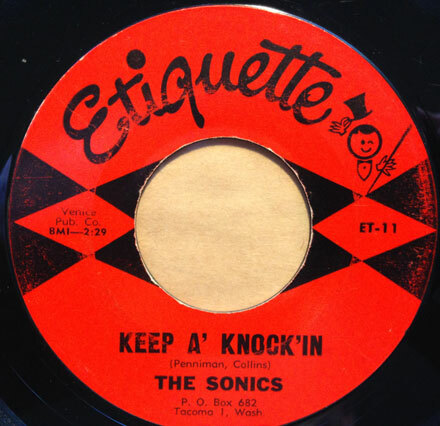 The flipside of the 45, ‘Lying and Trying’ (written by group member Tom Ross) was actually a regional hit, charting in the Top 20 in Massachusetts and Connecticut. ‘Lying and Trying’ follows the same basic formula, with just enough jangle and drums to be taken seriously, but poppy enough to keep the teenyboppers interested. I especially dig the guitar solo. The Shillings broke up in 1968. 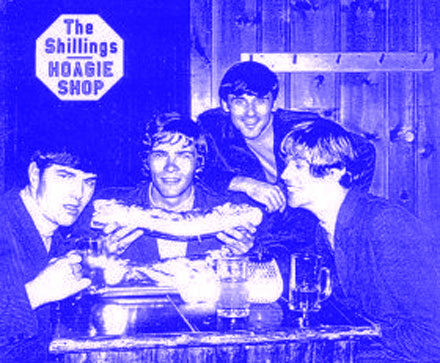 You can pick up a collection of the Shillings recordings, entitled ‘Hoagie Shop’ (including these two songs) in iTunes! I hope you dig the tunes, and I’ll see you next week with a new episode of the Iron Leg Radio Show.